My grandmother and mother and an aunt had done some work finding ancestors, many years ago before the internet was invented. Back then you researched by looking at old family Bibles, asking relatives questions, and driving to old cemeteries hoping that the stones were still clear enough to give you some information. Now we have sites like http://www.ancestry.com/ and FamilySearch.org to help us. But sometimes you stumble on to something that’s not on the internet, and still end up going walking around in an old graveyard. I recently became more interested in my family’s genealogy, and I had a whole pack of written information gathered up by my relatives. One name on that info was Henry Franciscus, my great great great uncle, brother of my great great great grandmother. We talked about some of this info among us back years ago, and the name Fransiscus has been used as a middle name in the family, so that name stuck with me. I had looked at online resources and didn’t find out where these folks were buried, just as my interest in learning more was really getting started. Then one day recently at Shippensburg Historical Society http://www.shippensburghistory.org/, I started looking thru an old historian’s notes, just because it was interesting. These notes were about old graveyards around the area, and in the notes a name jumped out at me: Henry Fransiscus. 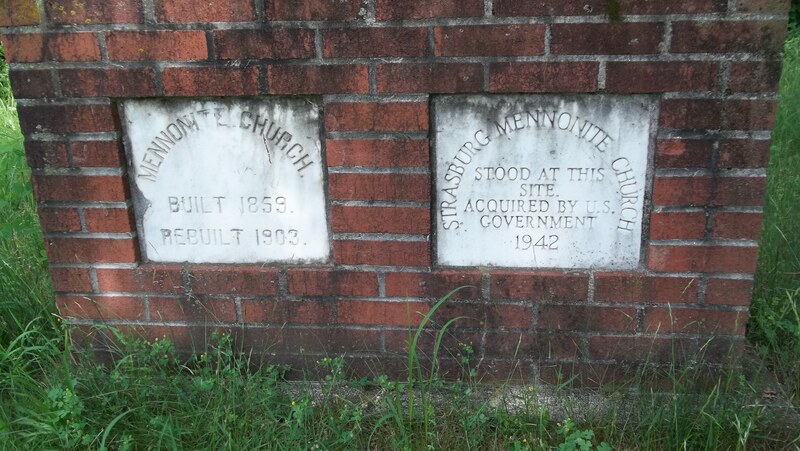 The notes told me he and some of his family were buried in Strasburg Mennonite Church Cemetery, which is located inside Letterkenny Army Depot, just a few miles from here. I googled all around trying to get a map to the graveyard, etc, and found nothing. Then it hit me that no information was available online because the graveyards are inside the secure area of the depot. Hmmm. During WWII, land in Letterkenny Township was acquired by the federal government to build the depot. People were paid for their farm land and homes, but were not given any choice whether to vacate. My mother’s father’s ancestors were some of those people. 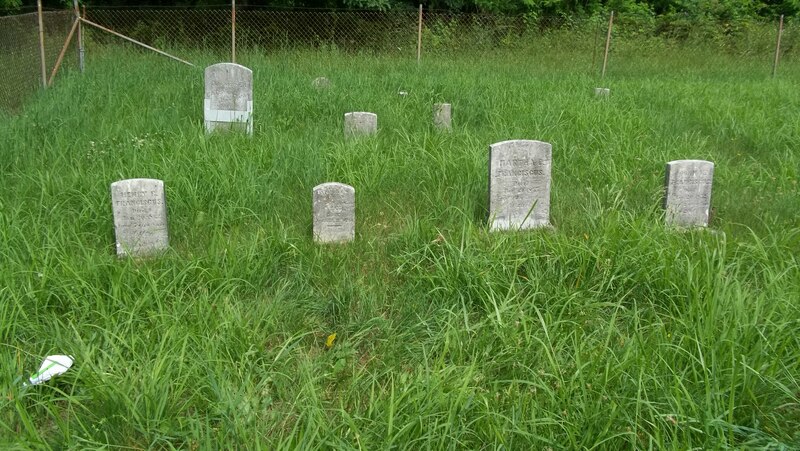 9 graveyards were retained and fenced in, some church graveyards and some family plots on their farms. (The Army treats the grave sites respectfully, keeping the grass mowed and sometimes even fixing grave stones that are coming apart.) Henry Franciscus and some of his family were buried in one of those grave yards. So I called the depot and went thru public relations, and was directed to a man who works with security in the munitions department. I asked to be allowed to enter and take pictures of these gravestones, and the permission was granted. I went thru two pretty strict security processes for me and my camera to be able to be driven around on property which used to belong to my ancestors and their neighbors. And then there was a small graveyard. In the back corner, I found the Franciscuses, and took pictures which I’ll share with relatives and also post on several genealogy sites I’m working with. It was an interesting day and process all around. I took a walk thru history and found Henry Franciscus. ← Time to eat collard greens! Oh my gosh that is such a neat neat story! I know you must be thrilled, as will your other family members I’m sure. How far is this graveyard from where you live? Maybe 12 miles. It was so neat, standing at the graves and thinking of my ancestors standing at the same spot while each loved one was being buried, even 3 young children. Maybe having driven past where their home was to get there. It was all a very good experience.